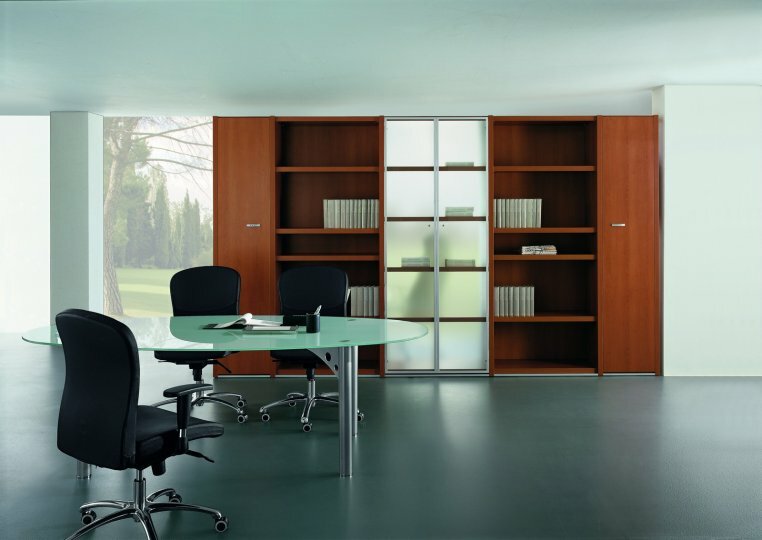 Executive glass office furniture with 12mm thick tempered frosted glass tops. The four legs of the desk are 70mm diameter in epc aluminium silver finish. Each leg has a 10mm chrome disc with built in height adjustability for use on uneven floors. The legs have feature angle brackets and a 50mm x 90mm under desk beam in powder coated steel, 15mm thick. Pedestals and mobile cabinets are manufactured in high quality and durable MFC with ABS protected edging. The rear of the pedestals or cabinets also feature a decorative perforated steel back. Manufactured in Italy this range is available from stock for a 7-10 day lead time. 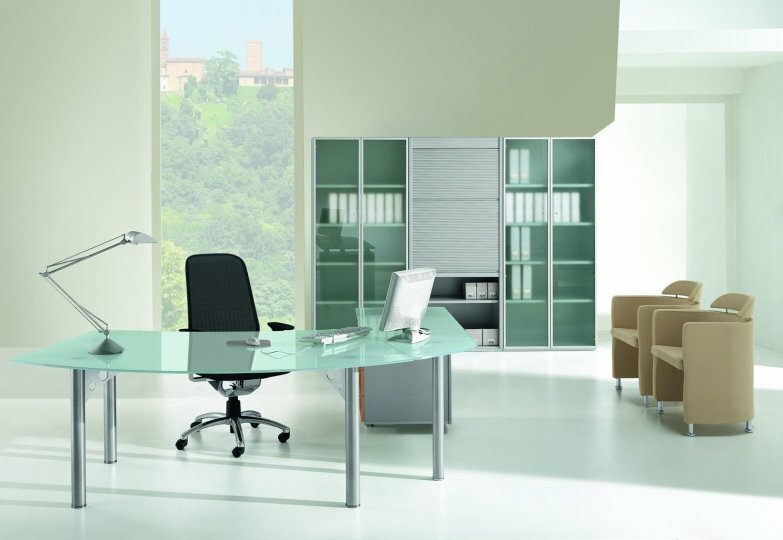 The XT ranges of executive furniture carry a three year factory warranty.